Amatara Resort & Wellness announces the appointment of Phoebe Boonkerd as Wellness Director of Amatara Resort & Wellness. A well-rounded wellness professional with more than 15 years of experience as a therapist, naturopath, herbalist, nutritionist and yoga teacher, Phoebe will oversee all aspects of the resort’s full-service spa and wellness offering. Phoebe’s responsibilities will include marketing, management and enhancement of Amatara Resort & Wellness’s comprehensive guest wellness programs. Phoebe joins Amatara Resort & Wellness from Chiva Som – one of the most prestigious destination health spas in Asia, where she spent more than six years. This work offered her a wealth of clinical experience and the privilege of treating large numbers of people from all over the world. “Through my own practice as a therapist, my health journey, and learning about those of others, I have come to understand that wellbeing is not a destination but a way of living, and that the best work a teacher or therapist can do is be a guide, in the spirit of support and nurture,” explains Phoebe. 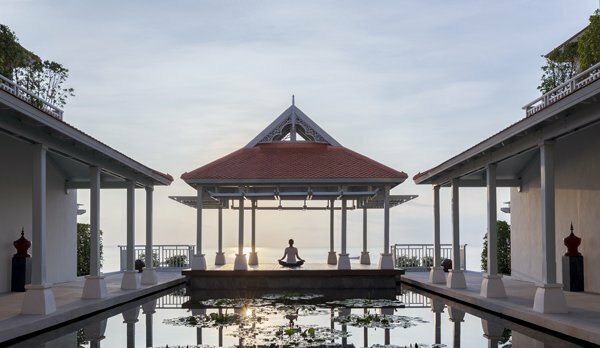 Amatara Health & Wellness is the first and only luxury destination spa in Phuket where holistic wellness programs promote good health and well-being. Phoebe will oversee all aspects of guest holistic health programs offered at the uniquely designed spa, which boats 2,000 square meters of space, and overlooking the endless seascape. In early 2016, Amatara spa facilities will also include the world’s first Thai Hamam, a combination of Thai and Turkish Hamam treatments, with a Salt Relaxation Room for asthma and allergies, and Rhassoul Clay treatments for improving the health and vitality of the body and skin.